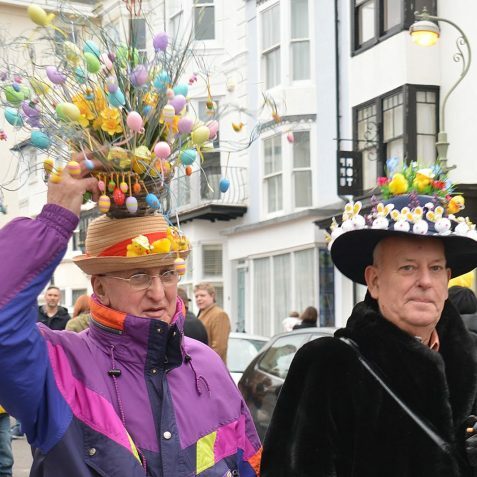 Click on a thumbnail to open a large version of the image in a new window. 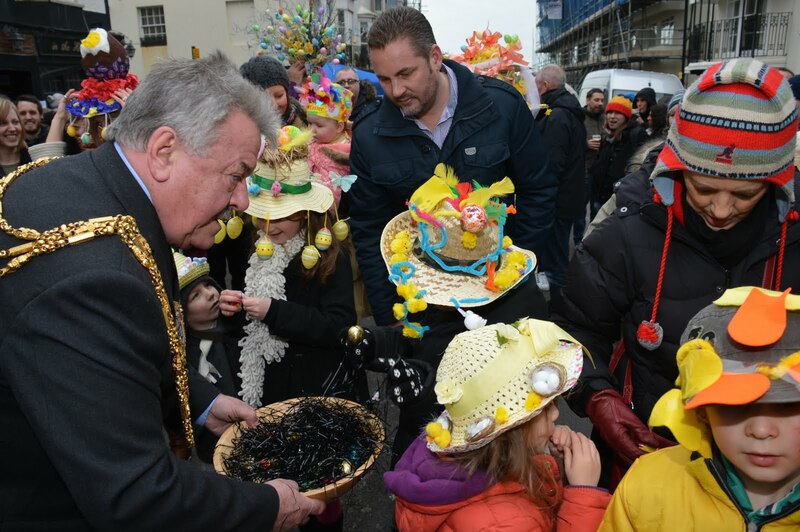 The Mayor of Brighton and Hove, Councillor Bill Randall had a very difficult job today. 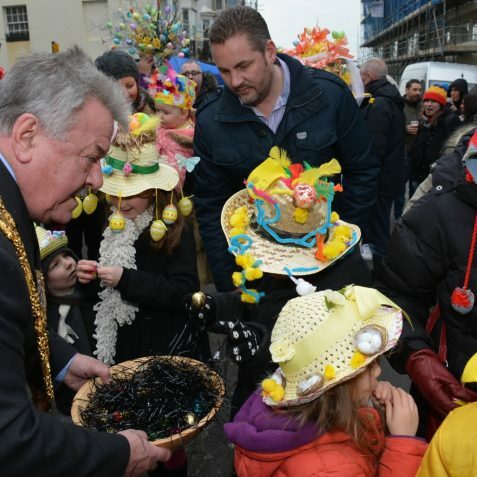 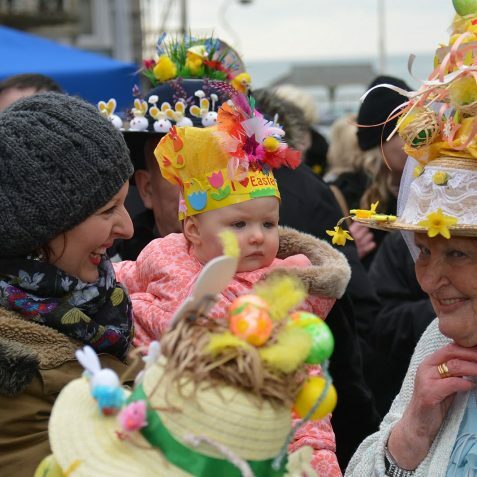 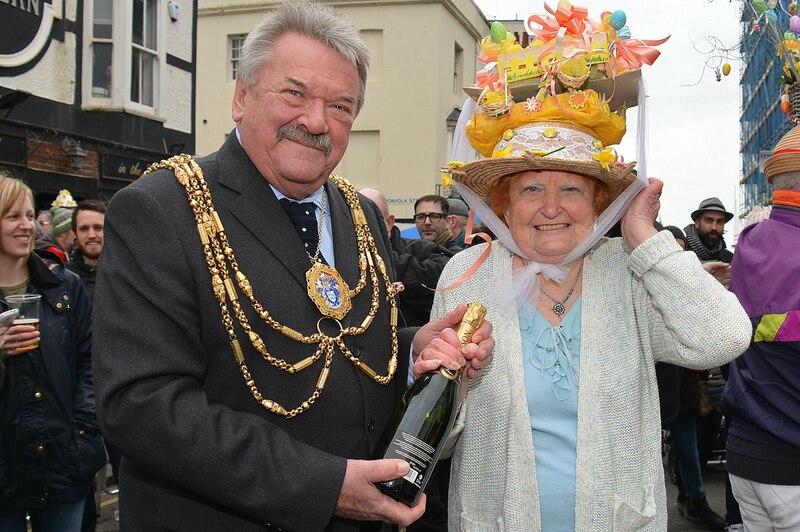 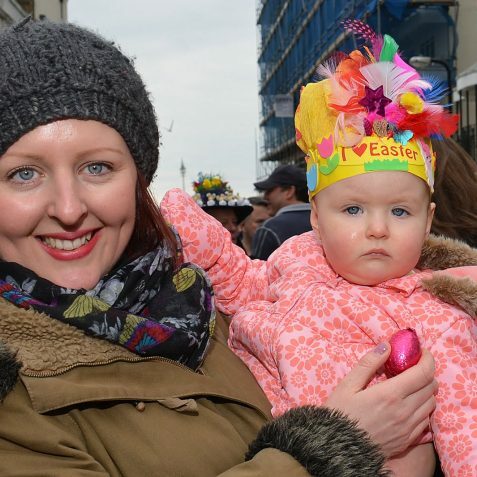 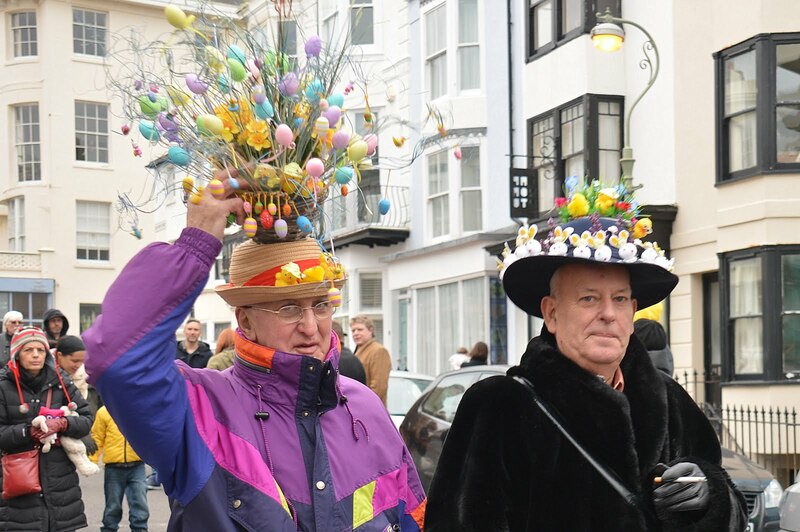 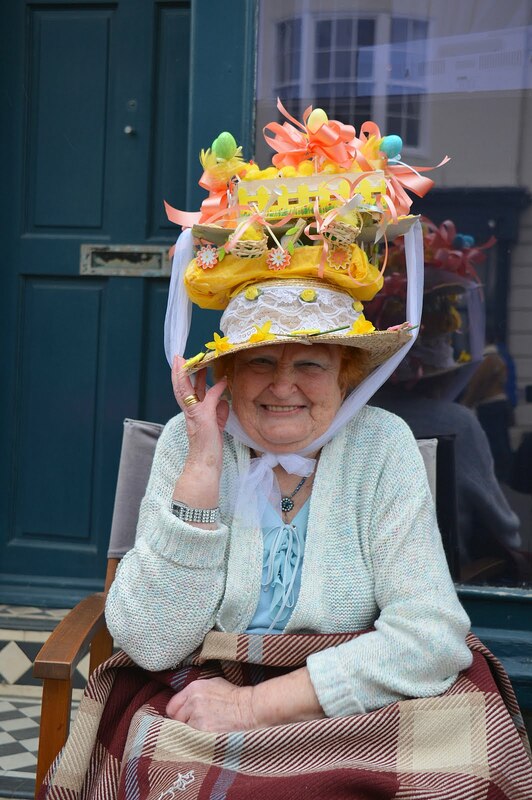 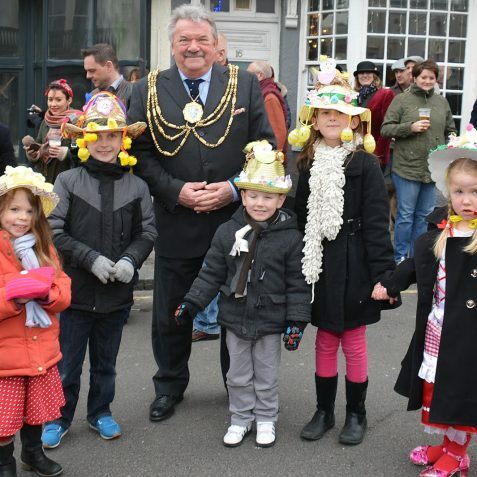 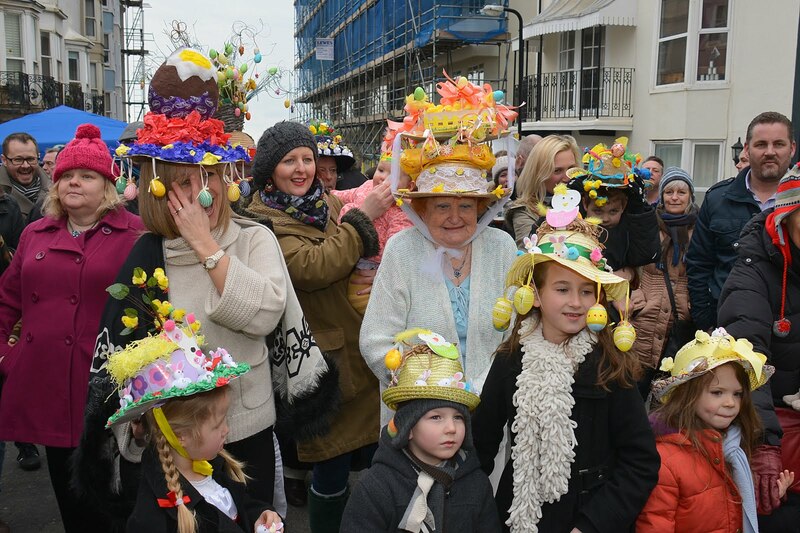 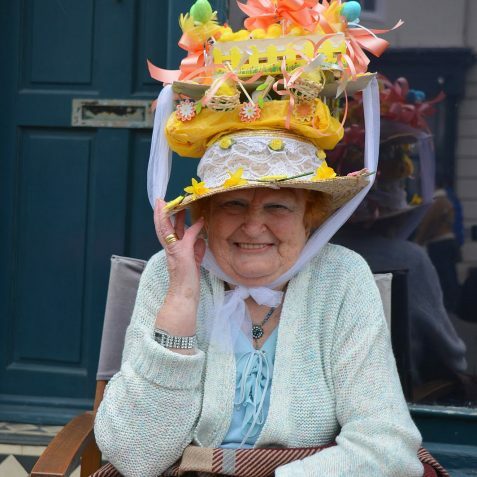 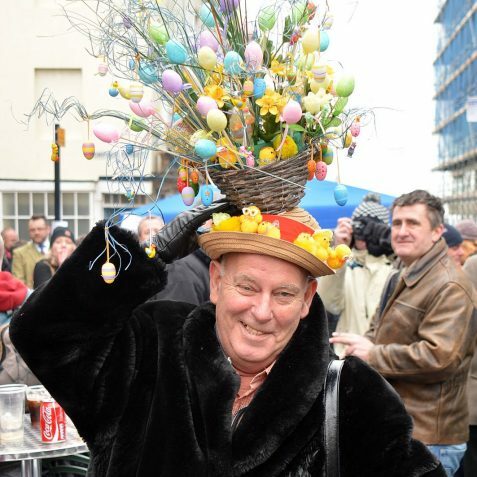 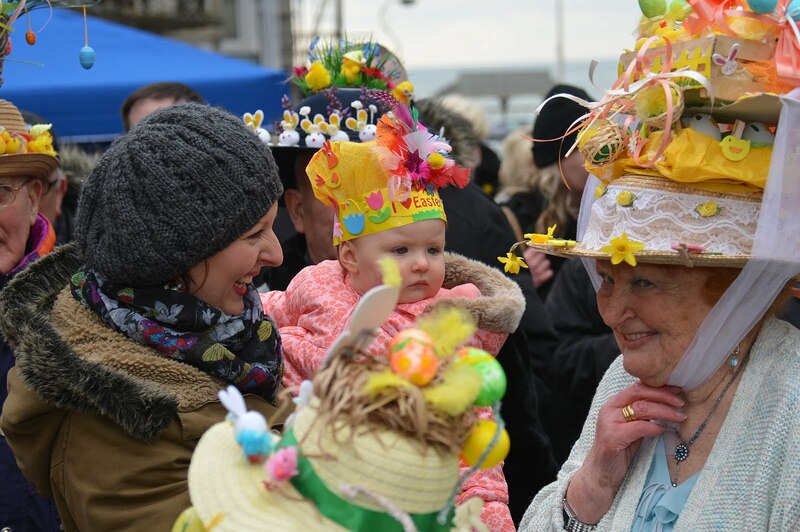 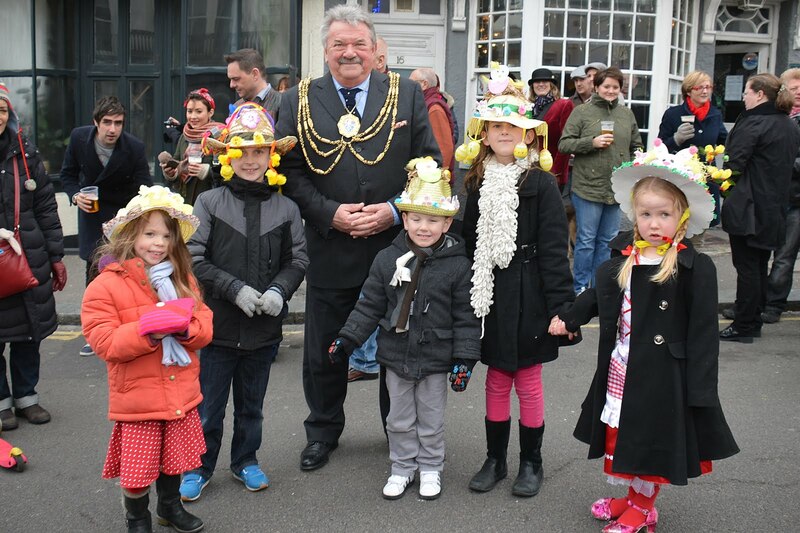 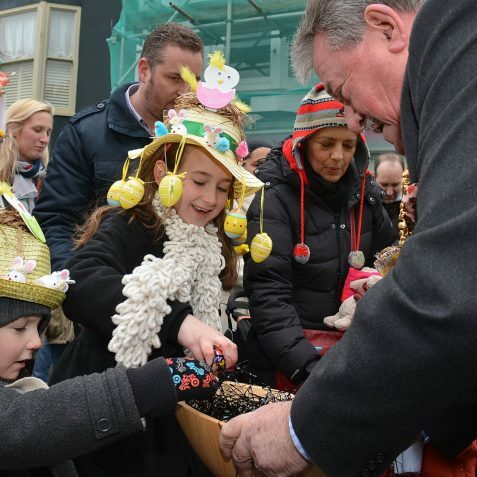 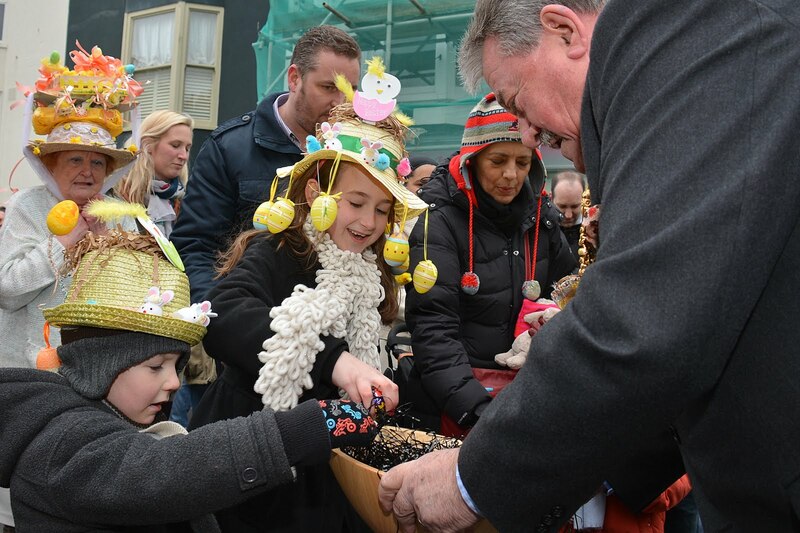 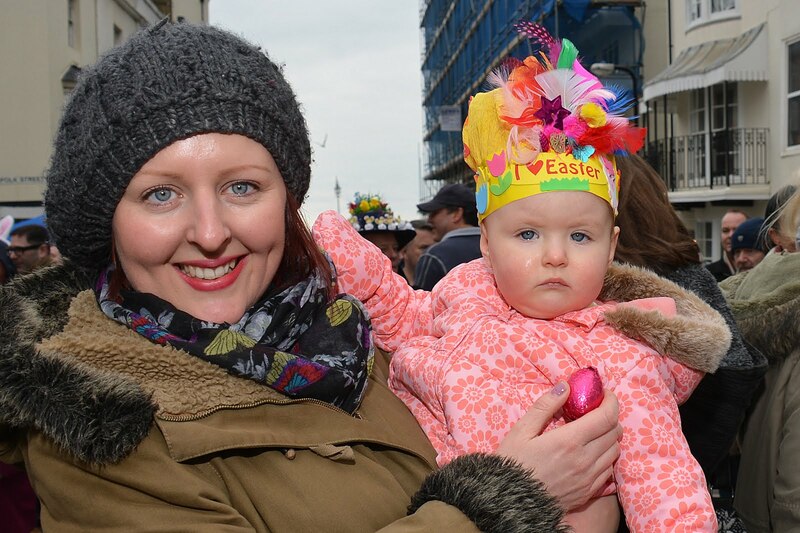 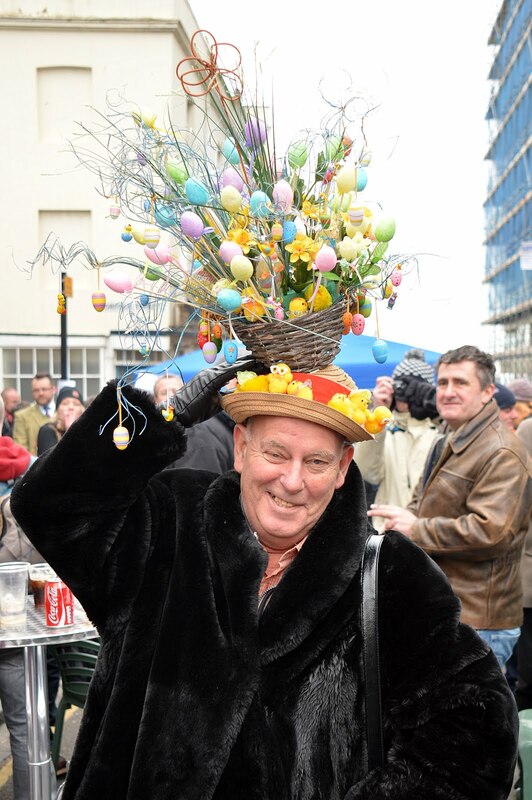 He was asked to judge the Easter Bonnet parade organised by the Grosvenor Bar in Brighton. 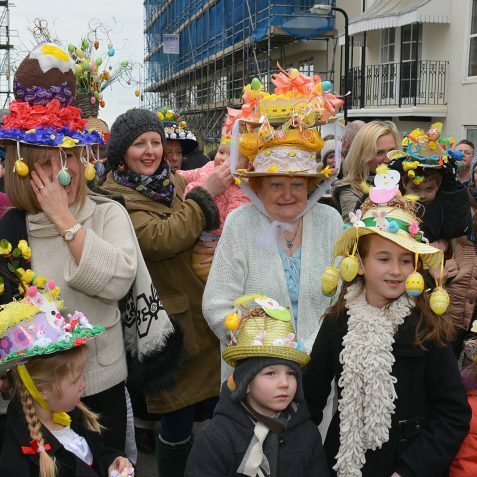 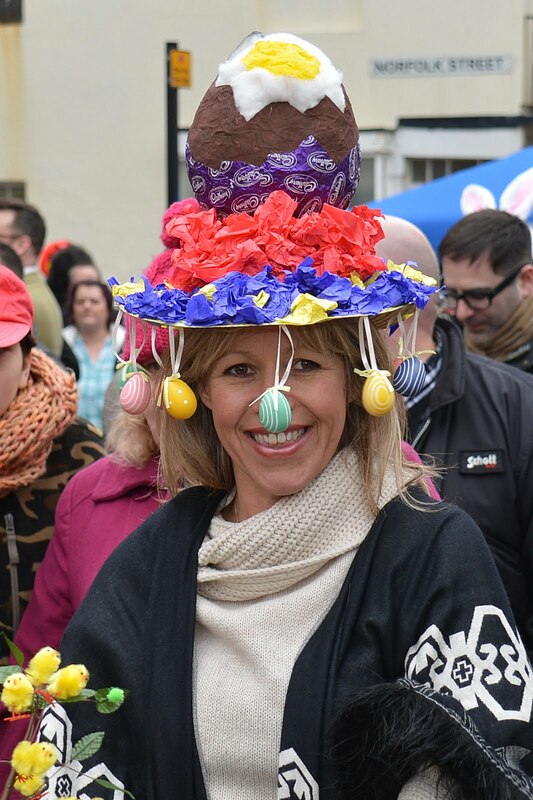 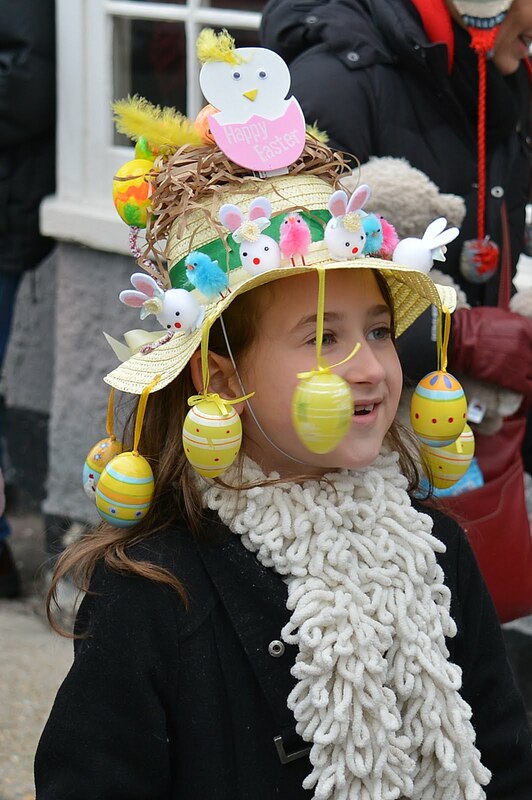 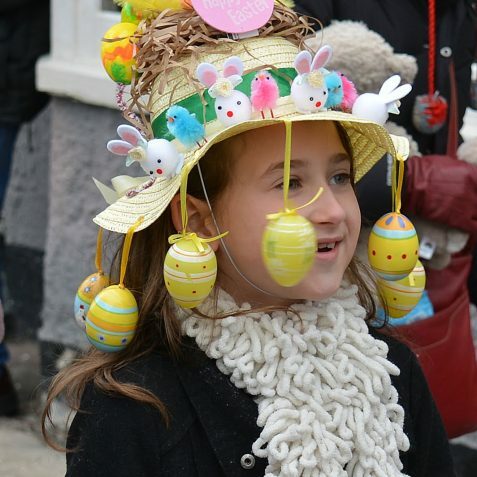 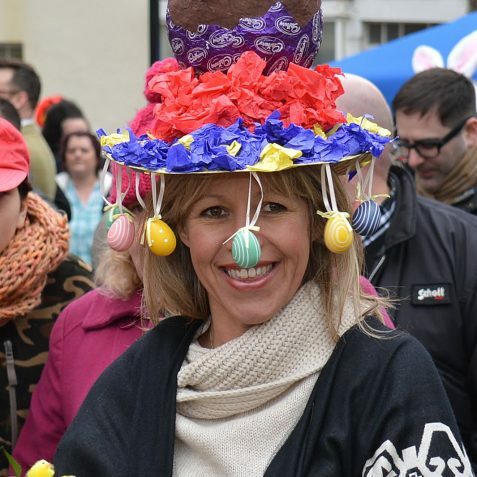 As you can see by the photographs here, that proved to be a difficult job, bearing in mind the quality of the entrants’ ‘eggstravagant’ creations! 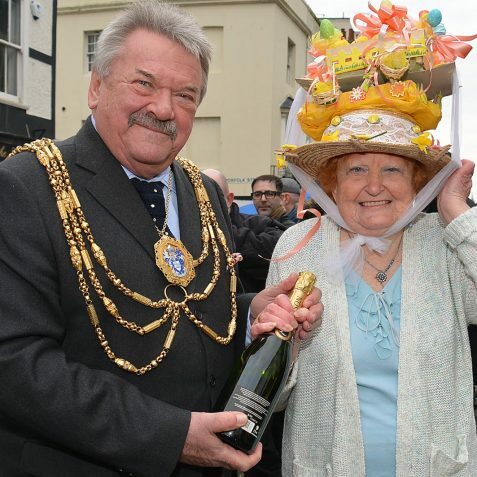 But after much deliberation, 81 year old Grace was announced the winner and Councillor Randall presented her with a bottle of bubbly.